Ask Leslie: How Do I Style a Large Blank Wall? This month, I’m excited to unveil our new “Ask Leslie” series, answering your interior and decor questions! Our first reader topic is on how to style a large blank wall. If you’ve got a large blank wall and you’re not sure what to do with it, don’t fret, I’ve got a few ideas for you! The challenge with a large wall is it can seem pretty overwhelming. But there are a few ways to tackle this. 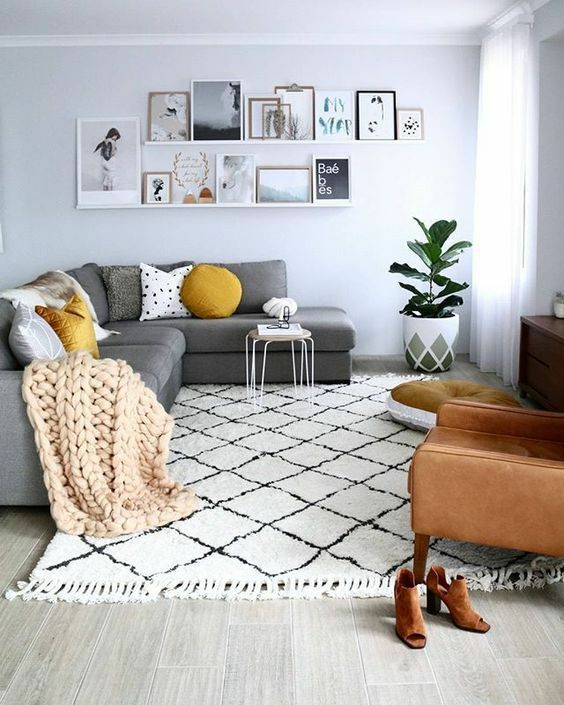 A gallery wall is a beautiful way to style a large blank wall space, and it adds some character and personality to your home. You can do a gallery wall with personal family photos or some of your favorite art pieces. Many people also choose to do a mix of both. If the idea of a gallery wall seems intimidating, peruse Pinterest for some gallery wall templates. You can feel free to experiment with different frame types as well. Before you commit to a layout, we recommend mapping out your design on the wall using tape. It’s easy to remove and will let you visually see if you like the placement of the pictures. Another easy trick to style a large blank wall is to use shelving units to break up the space. 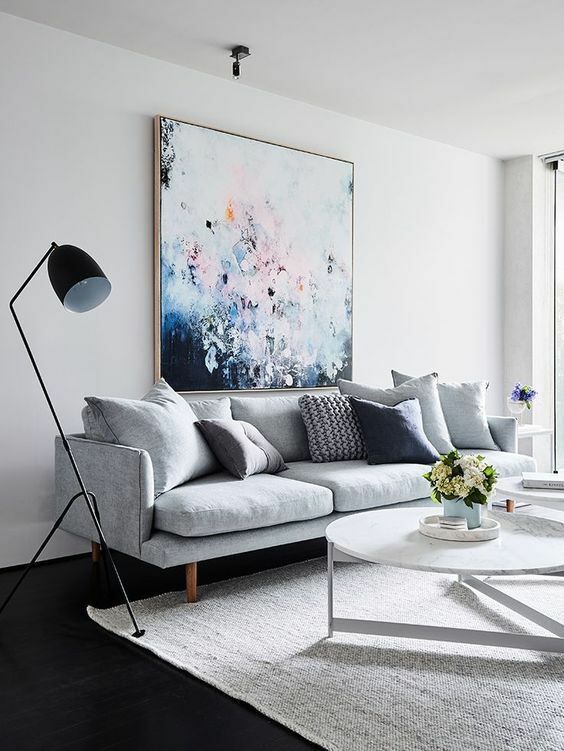 Use large art to fill up one part of the wall and the other can be filled with shelving units. Decorate them with personal accent pieces, picture frames and other decor items to add some interest to the wall. Go big or go home is the name of the game here . Go ahead and use that large blank space to make a statement. A large-scale art piece can make quite the impact, so see if you find something you love. You can also try a tapestry or even a mirror. Having difficulty finding something large enough? Twin canvases look just as lovely side by side and are a great way to fill up a large wall. You can use the same trick for your mirrors, too, hanging two identical ones side by side. 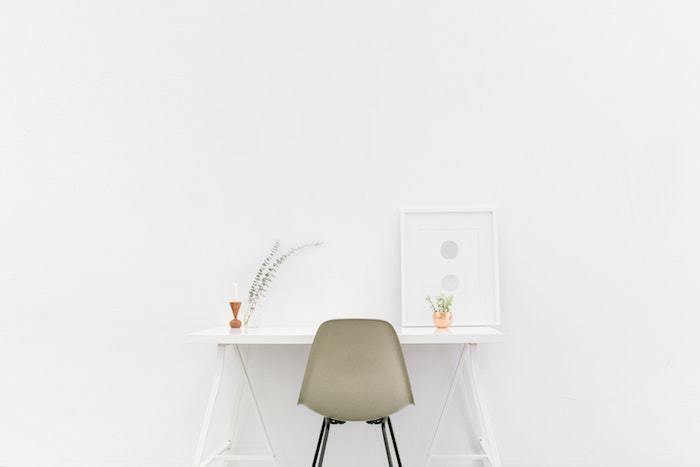 Hopefully with these ideas you’ll see that learning how to style a large blank wall isn’t as difficult as it seems! Do you have any interior decor questions you’d like answered in our “Ask Leslie” series? Leave a comment below and we may just feature your question next!